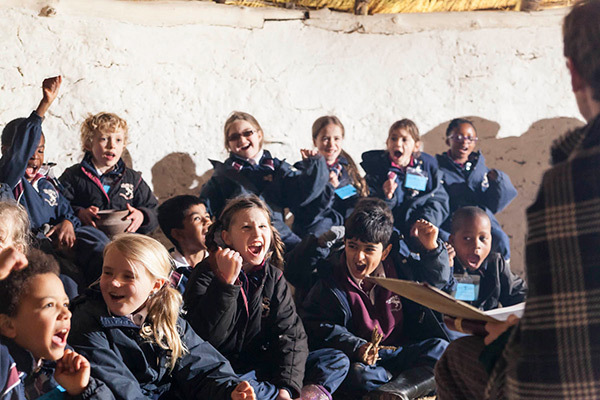 Learning is a lifelong experience and at Chiltern Open Air Museum we provide many fun and focused learning opportunities. Families are very welcome and there are many opportunities to explore both our historic buildings and woodland areas see our Top 10 things to do on your visit. We run an extensive, unique and award winning schools’ programme. At certain times of year our workshops and theme days are heavily oversubscribed so we would recommend contacting us well before your preferred date to secure a booking. We also offer a specialist programme for adult learning and run a selection of experience days. Home Educators are welcome at all times but in 2016 we have identified two dates where we will be specifically, running a programme for those who educate their children at home. Outdoor learning experiences are offered to uniformed organisations, Young Archaeologist Clubs and those interested in bushcraft. For further information please contact the Education Team on learningteam@coam.org.uk or telephone 01494 875 542. We are very grateful to the Sherling Trust for their very generous donations to support our schools outreach programme.